Update: These limited time offers are no longer available. Check the card sign-up links for the latest offers. If Delta is your airline of choice, you can rack up some serious miles and save on checked bags with these insanely good welcome offers. We typically don’t see welcome offers this good: New Gold card members will earn 60,000 miles after spending $3,000 in the first 4 months. New Platinum card holders will earn 70,000 miles and 10,000 Medallion® Qualification Miles (MQMs) after spending $3,000 in the first 3 months. These mile bonuses are typically 30,000 and 35,000 respectively. But you’ll have to hurry, these offers will expire 9/19/18. The two cards offer the standard two miles per dollar spent on purchases made directly with Delta, and one mile per dollar spent on everything else. According to The Points Guy, those miles are valued at roughly 1.2 cents each, depending on where you sit. When you pay for tickets on your card, Amex will waive the checked bag fee, saving you up to $50 roundtrip. The card grants you priority boarding privileges, so you can get settled in your seat sooner. And once you’re onboard, you’ll save 20% on in-flight purchases like alcohol and Wi-Fi, which isn’t too big of a savings, but can’t hurt. Plus, you’ll pay no international transaction fees, a nice perk. With all the other benefits between the Gold and Platinum almost equal, the Platinum card stands out with the yearly Companion Certification. 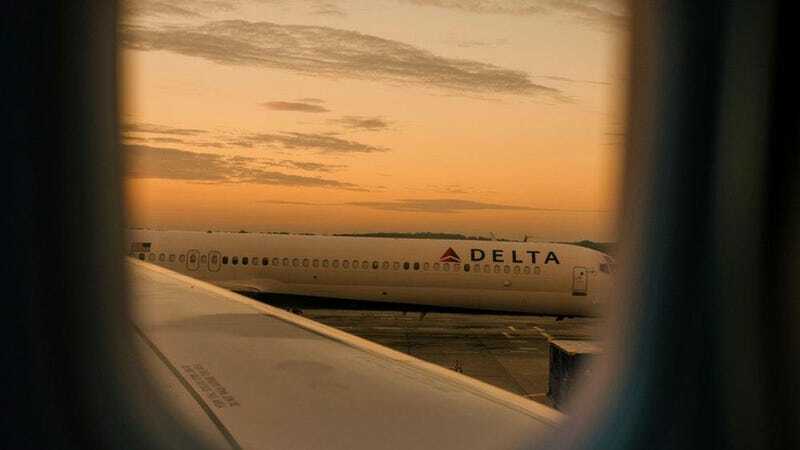 During your card’s anniversary month, Amex will give you a free roundtrip Delta ticket voucher to fly anywhere in the contiguous U.S. for free with purchase of another roundtrip ticket. This BOGO deal will easily pay for the $195 annual fee. My husband and I are using our certificate to fly to San Francisco in a few weeks, where two roundtrip tickets would normally cost at least $700, we only paid around $350. The welcome offers alone make these cards attractive, and doubly so if your home airport is a Delta hub. Although the required spend is high compared to other travel cards (like Southwest’s $1,000 for 40,000 miles), they’re serving up 1.5 times the miles, so if you spend that much on your card already, it’s easy to justify. If you’re an infrequent traveler and wouldn’t benefit from the Companion Certificate, the Gold is probably your best bet. If you travel more often and are looking for a few more free flights, the Platinum will pay for itself quickly.